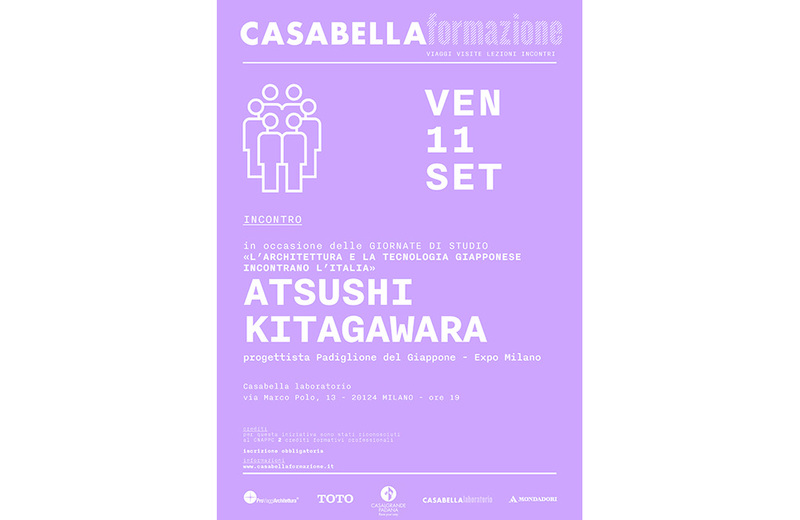 Lecture at CASABELLA Laboratorio | 北川原温建築都市研究所 | Atsushi Kitagawara Architects Inc.
Atsushi Kitagawara will give a lecture at Casabella Laboratorio in Milano on 11th of September. The main subject will be to present for Japan pavilion at EXPO Milano 2015, the extension of Nakamura Keith Haring collection art museum and other recent works. date: 11th of September, 2015 7:00P.M.-10:00P.M.